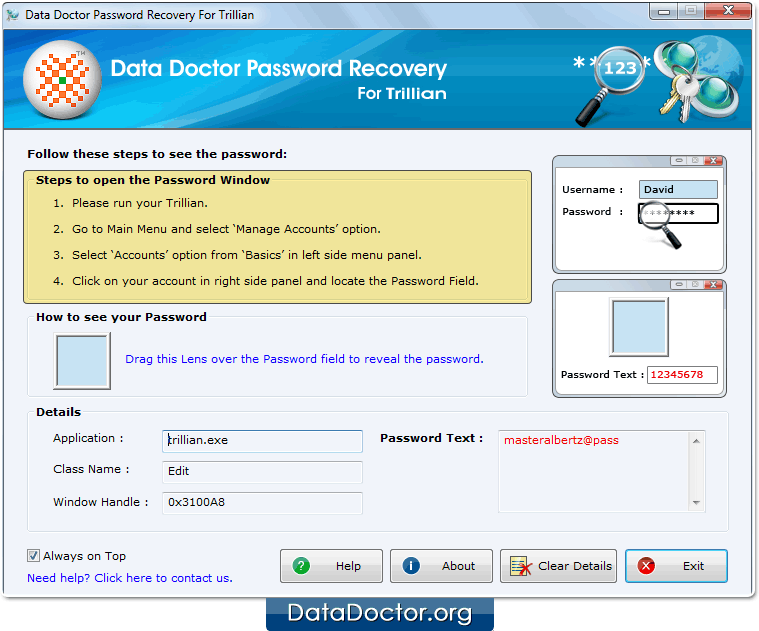 Password Recovery Software for Trillian Messenger helps users to recover lost or forgotten password from Trillian Messenger. 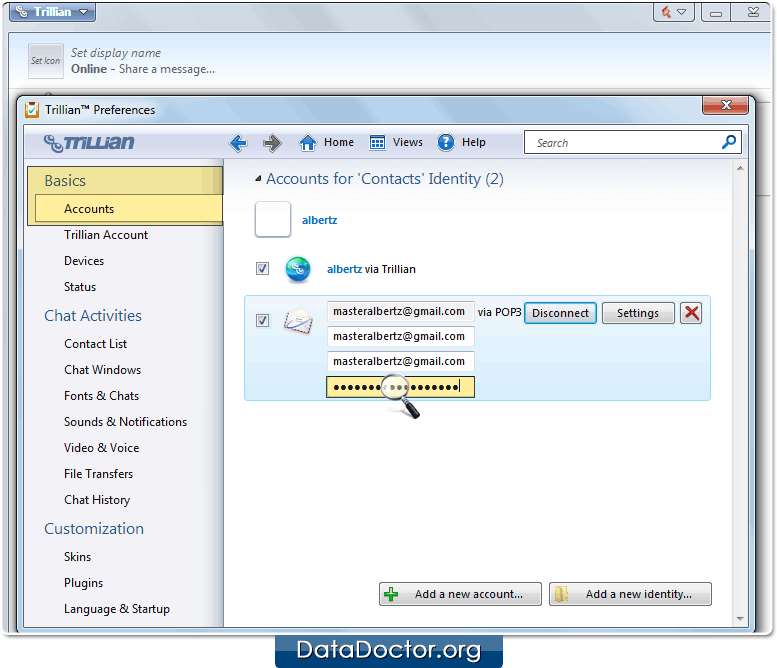 Software restore multiple accounts password even with special characters. Software easily works with Windows 10, Windows 8, Windows 7, Windows Vista, Windows XP and other latest operating systems. 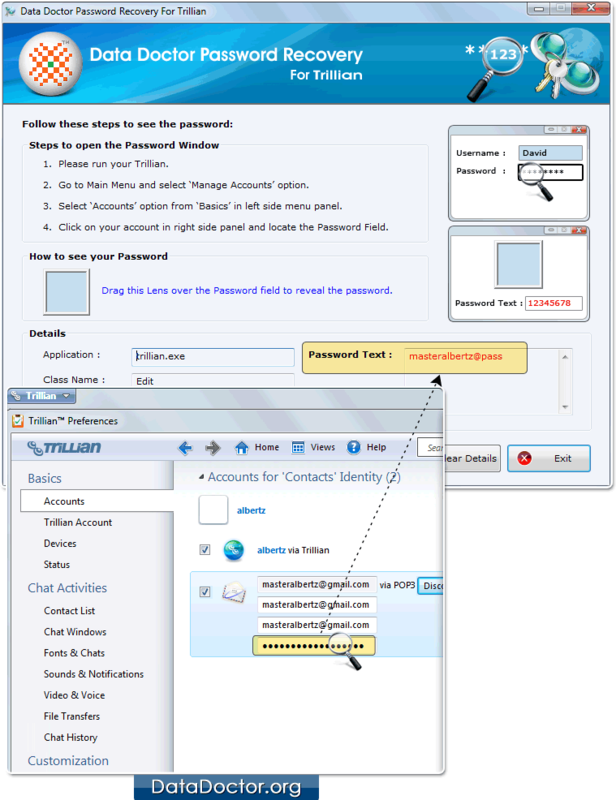 Run Password Recovery For Trillian Messenger. Go to the Main menu and select 'Manage Accounts' option. Locate the password field among account details by dragging lens over it. 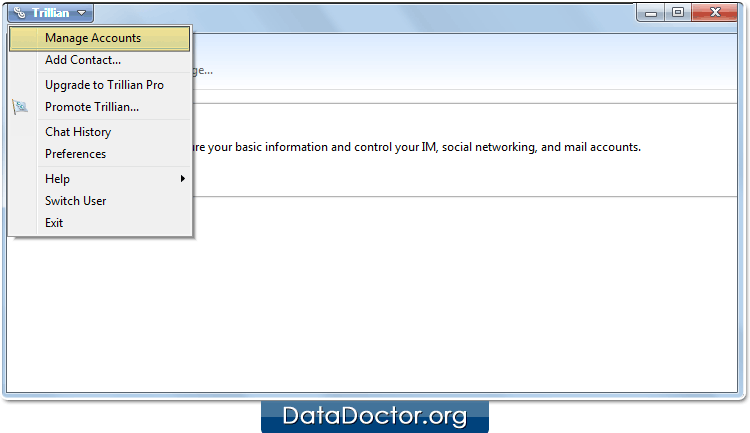 Recovered password will be displayed in password text field as shown above.